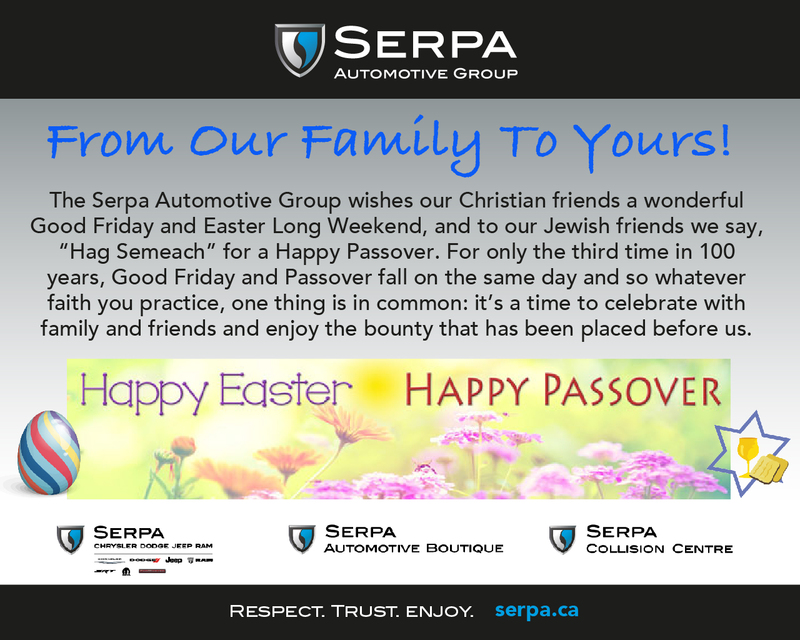 Serpa Collision Centre > Uncategorized > News > Happy Easter and Hag Semeach for Passover! Happy Easter and Hag Semeach for Passover! 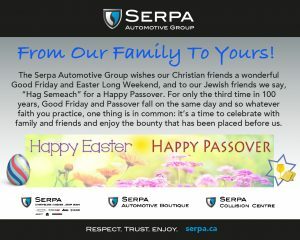 From all of us at the Serpa Automotive Group.